By combining luxury with oriental convenience and African elements we have managed to create a warm, homely, guest-luring atmosphere. 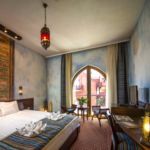 The hotel awaits the guests with its 45 rooms, a unique North-African Bath, an Arabesque Quad, a Moor Bath and a Hammam. The Shiraz Restaurant, The Dubai Garden, the Casablanca Bar and our conference rooms (Bamako, Mopti, Gao, Sindbad, Timbuktu) ensure recreation, entertainment and the possibility of work. The North-African Bath and the Arabesque Quad are waiting for their guests with unique exterior and exciting interior. People are purified, refreshed and charmed by the especial rituals of the massage. In the Arabesque Quad there is a salt watered pool, in the Bath you can find a massage pool, a Mor bath with cupola and an African Hammam. The sauna, experience-showers, steam-chambers, aroma-chamber, infra-chamber, lighttherapy-chamber and relax-chamber provide the absolute entertainment. Next to the massage programmes in the Hammam we have started the world famous Gerard’s massage programmes too. In Kimana rest room our guests can choose from a lots of massage, these are chocolate, honey, fruit, peat and tibeti, but we offer the ginseng, green tea, alga and Cleopatra baths. In the Maxim garden everyboday can use the jakuzzi and sauna all the time. Arriving… Moroccan mint tea… delicious lunch and dinner… loosened tie... piano music... smoke ring... or a hookah… Shiraz Restaurant, Dubai Garden, Casablanca Bar… several gastronomic pleasures. Returninig guests Robert Bosch Kft, Borsodi Sörgyár Zrt, Tiszai Vegyi Kombinát Nyrt, Egis Gyógyszergyár Nyrt, Numil Hungary Kft, Obi Hungary Kft, Strabag Zrt, Raiffeisen Bank Zrt, Tesco-Global Zrt, Tupperware Hungary Kft, Welltech Rt, Boehringer Ingelheim, Scania Hungaria Kft, Procter & Gamble, Állami Autópályakezelő Zrt, ZF Hungária Kft, Medico Uno Kft, Masterfoods Kft, Siemens Rt, Total hungaria Kft, Porsche Hungaria Kft, BASF Hungária Kft, Philip Morris Magyarország Kft, OTP Rt, Magyar Telekom Nyrt, Pannon GSM Zrt, Hewlett-Packard Magyarország Kft, MOL Rt, Electrolux Lehel Kft, Exxon Mobil Kft, GE Hungary Kft, Erste Zrt, Solvay Pharma Kft, Bayer HungariaKft, Saia-Burgess Ózd Kft, AAM Tanácsadó Rt, Avon Cosmetics Hungary Kft, Coca-Cola Kft, Tetra Pak Hungaria Rt, Inno Comp Kft. The rating of Mesés Shiraz Hotel Egerszalók is 9.5 from the maximum of 10, based on 1067 real guest reviews. "Nem tájékoztattak bejelentkezéskor,hogy a klímaberendezés nem működik! Jeleztem ezt a recepción! Válasz: "Nyissam ki az ablakot" Megoldás nem volt rá! 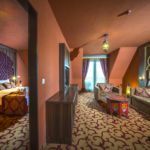 Senkinek nem ajánlom a shiraz hotelt!" Based on the reviews and comments of actual guests, the services of the Mesés Shiraz Hotel Egerszalók have received a high rating of 9.5/10.